Party enthusiast Andrew W.K. has a new reason to celebrate (not that he needs one): Page Six reports that yesterday, his brother, Patrick Wilkes-Krier, began competing in the 2016 U.S. Open. The Open is unique among the major golf tournaments in that any amateur with a sufficient handicap can attempt to qualify, and the younger W.K. brother has done exactly that. Wilkes-Krier is a golf instructor in Ann Arbor, Michigan, and tied for second in the sectionals, allowing him to qualify for the tournament and play alongside the likes of Jason Day, Jordan Spieth, and Rory McIlroy. After part of a day’s golfing (the tournament was suspended because of the weather), Wilkes-Krier is performing respectably. He in a 12-way tie for 56th, out of 78 golfers who have played the first round so far, finishing ahead of some professionals—and that tie includes Rickie Fowler, the 5th-ranked golfer in the PGA. While he’s making a strong showing for an amateur, Wilkes-Krier has some perspective about actually winning the tournament. 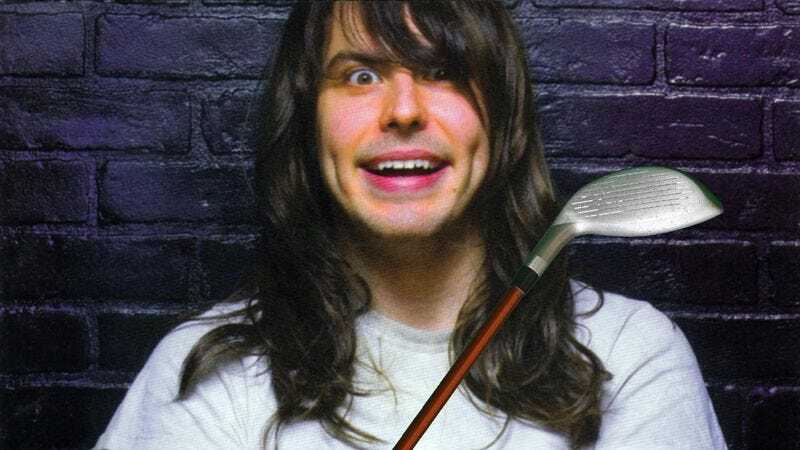 “To say that I was there watching [legendary golfers] prepare for an event that was so important to them was enlightening for me as a golfer, but also exciting for me as a fan of the sport, too.” If he makes any respectable showing above and beyond qualifying, it will no doubt be an occasion for partying in the W.K. household. And if he doesn’t? Let’s face it, the W.K.s will still be partying.